few decades, making them increasingly valuable for scientists of many disciplines. 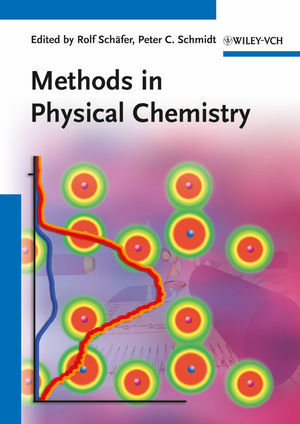 makes this a valuable reference for physical chemists and other scientists working with these techniques. Peter C. Schmidt is a retired Professor of Physical Chemistry at the Technical University of Darmstadt. He is working in the field of Theoretical Solid State Chemistry. From 1992 to 1998 he was editor of the Berichte der Bunsen-Gesellschaft, an international Journal of Physical Chemistry, and from 1999 to 2010 he was the editor of the Bunsen-Magazin, a journal of the German Bunsen Society of Physical Chemistry. Rolf Schäfer is a Professor of Physical Chemistry at the Technical University of Darmstadt. His major interest is in small clusters, isolated in the gas phase but also supported on surfaces. He is focussed on the development of molecular beam and surface science techniques to study the magnetic, optical, catalytic and thermal properties of clusters in dependence of size and composition. At present, he is the editor of the Bunsen-Magazin, a journal of the German Bunsen Society of Physical Chemistry.